If you are flying into Bairnsdale Airport (YBNS) in East Gippsland, Victoria, let us know. We'd like to see you and help ensure a memorable visit. We are aviation enthusiasts with great new Club Rooms (including the new Beaufort Bar) in one of the old RAAF World War II Hangars at the Bairnsdale Airport. Known as the East Gippsland Aero Club we currently have around 50 active members and we are always seeking to attract new members from the East Gippsland community who have an interest in aviation. 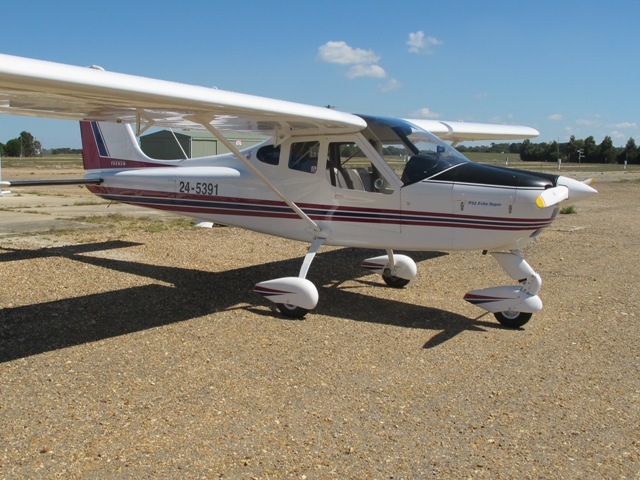 Gippsland Ultralight & Leisure Flyers (GULF) was originally formed in 1982, operating at a large grazing property 'Redcourt', just to the West of Bairnsdale. The club then moved to, and operated from, Yarram Aerodrome for several years. The club exists so members can benefit from other peoples' experiences in aviation. A number of aviation related web links are provided on this web site with one primary goal; to make flying safe and enjoyable for all. We meet on the last Sunday morning of each month at the number 2 Hangar at Bairnsdale Airport, and have a BBQ lunch for a nominal fee. In addition to the monthly meetings, we hold flying activity days and have social activities with other Aero Clubs at various locations and times throughout the year, both within and outside Victoria. Click this CALENDAR link for details. We would like to hear from anyone interested in joining or finding out more about our club, so for enquiries please use the CONTACT US or ONLINE APPLICATION tabs. If you wish to learn to fly, or hire an aircraft just check the HIRE & TRAINING tab on the left. Copyright © 2019 East Gippsland Aero Club. All Rights Reserved. Designed by Y Media.